explores what it means to overcome daily obstacles while holding steadfast to your faith in a greater calling and purpose. Listen and download with the link below. Newly released single "Illuminate The Light" available for listen and download at the link below. Listen! 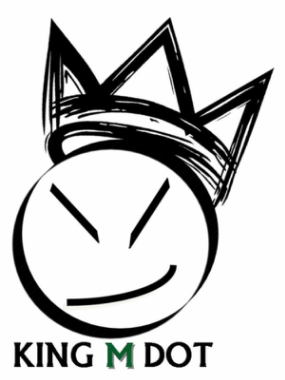 MJ or King M Dot hails from Rocky Mount, NC THE 252! He’s always written poetry and eventually started shaping into a rhythmic rap. He’s always loved listening to guitars. Their music is something he not only hears, but felt in his soul. It’s an awaking of a beautiful fusion of vast genres and thought provoking ideas. Rooted in blues, soulful RnB, folk, rock, and hip hop he draws inspiration from B.B. King, Lauryn Hill, James Taylor, Jimi Hendrix, and Cee-Lo Green. These diverse sources of inspiration give his music a unique twist and soulful blend, giving birth to a genre of its own, Eclectic Fusion! This is physical proof of the growth as artistry but more importantly the heart of music. He speaks on what he knows, feels, and all the while strives for more. His true bio is in the music so Listen, Love, & Support! Bless up!! 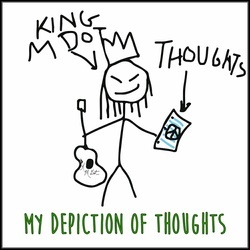 My Depiction of Thoughts is my full length album. It can be best described as an Eclectic Odyssey of the soul. Full of groovy rhythms and soul stirring lyrics! Listen and enjoy! Bless Up!